If you would buy a generator today, it would generally last you 15 to 20 years depending on the availability of the repair components. 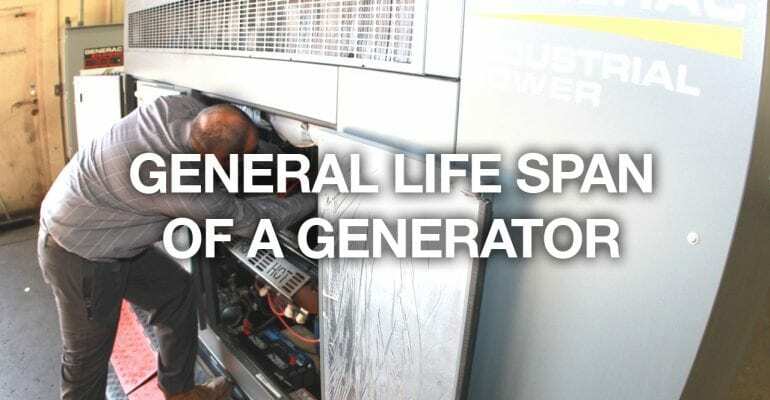 The repair is an important part of the life of the generator. If you keep up on the repairs you will limit the out of pocket business expenses that are occur in the normal wear and tear in the life of the generator. For more information on parts, service or annual inspections, or to request a quote click here https://duthiepower.com/request-a-quote Or Give us a call at 1-800-899-3931 to learn more about how Duthie can help lengthen the life of your generator.